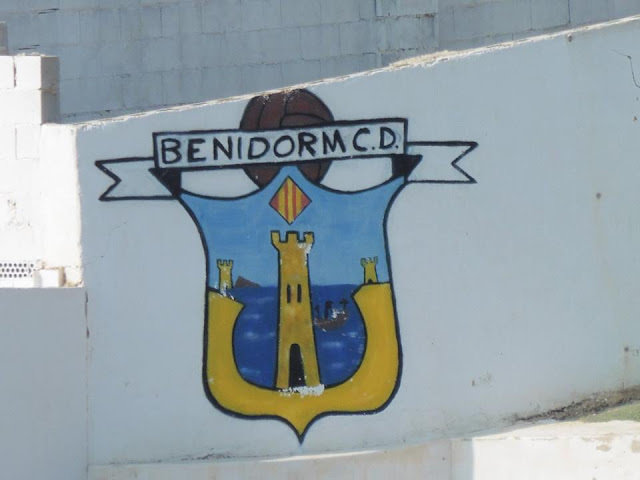 I had visited Benidorm's ground many times in the past whilst on holiday, just hadn't managed to get round to visiting there for a game. 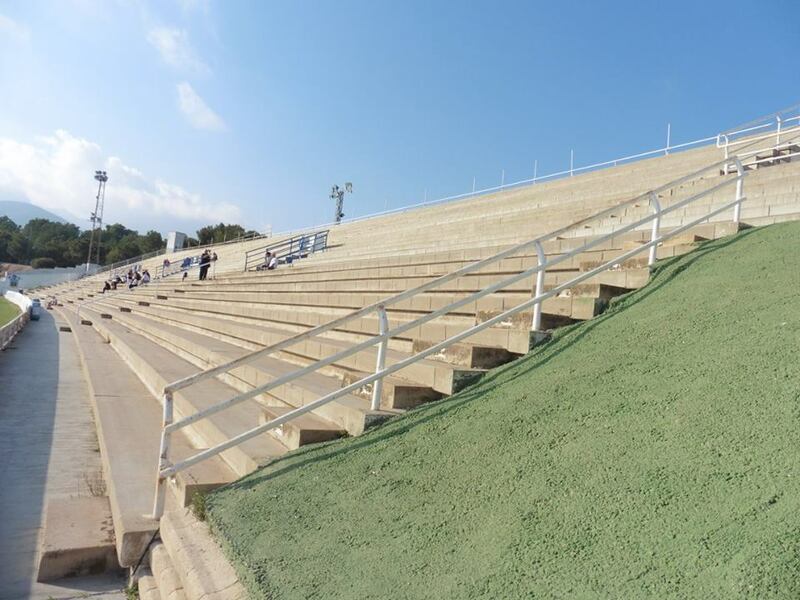 Finally my 1st visit came in May 2018. 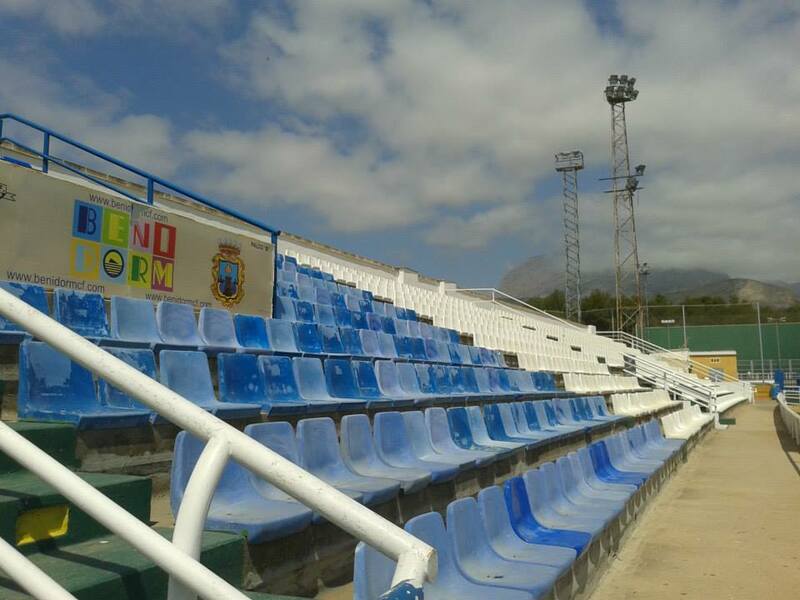 The season had been finished and I was going on holiday with my parents and my other half, so was hoping to catch a game whilst out in Spain. 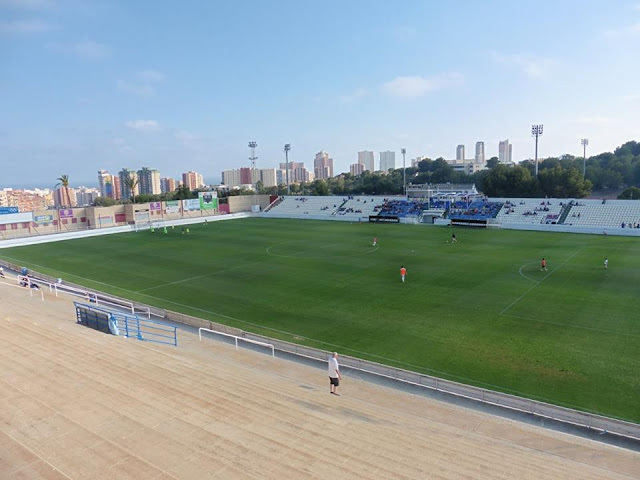 My original plan was Valencia v Deportivo at the Mestalla as previous years I've done a tour there but again never been for a game. A week before leaving for Spain, I found out they changed the kick off to a 12pm which would have meant me leaving at least 5.15am on the coach from Benidorm to Valencia in order to get there on time or the next coach wouldn't have got into Valencia till 12.30pm which would have missed the 1st half, which was a bit annoying but can't be helped. 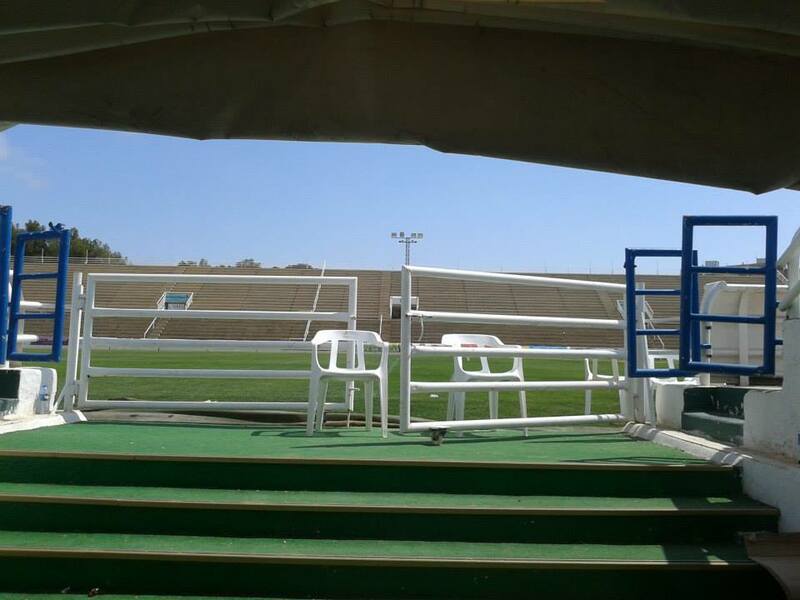 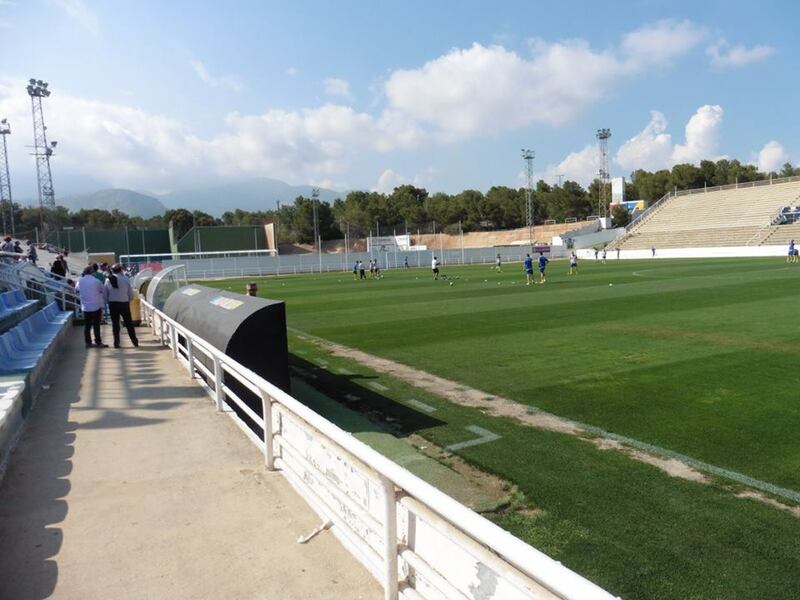 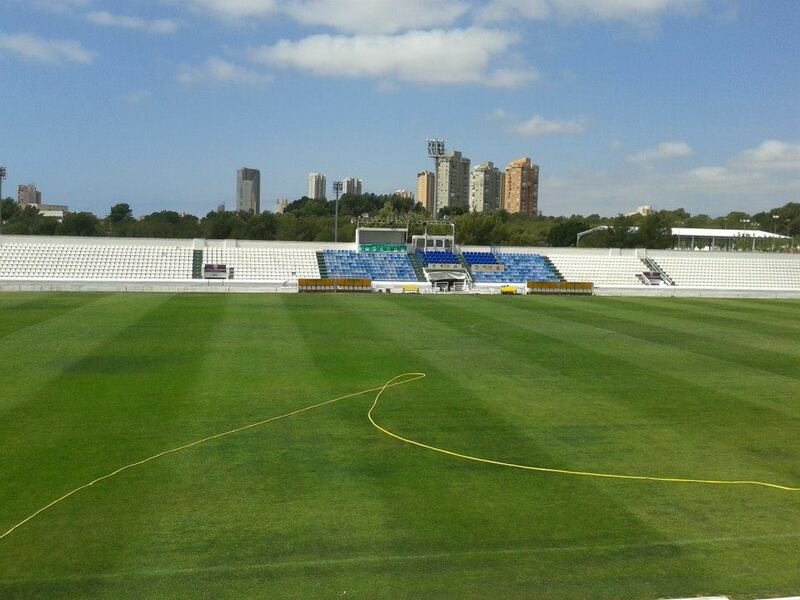 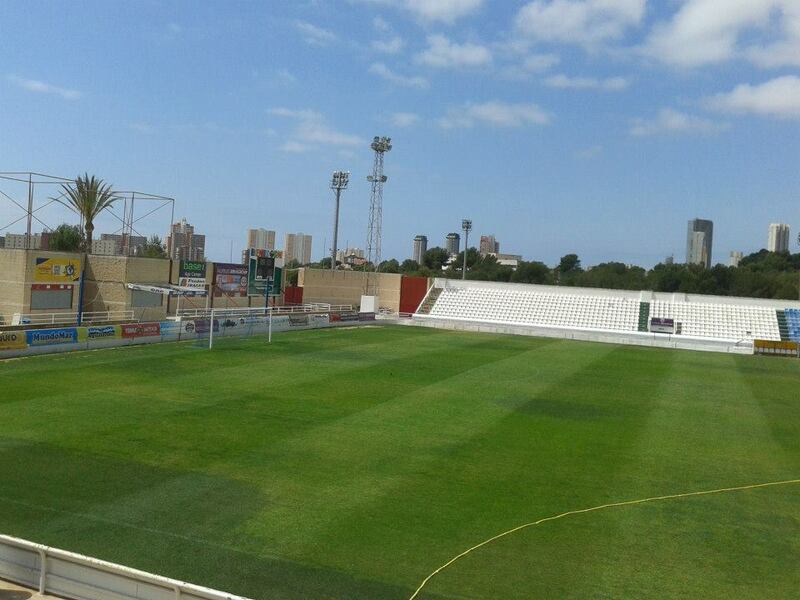 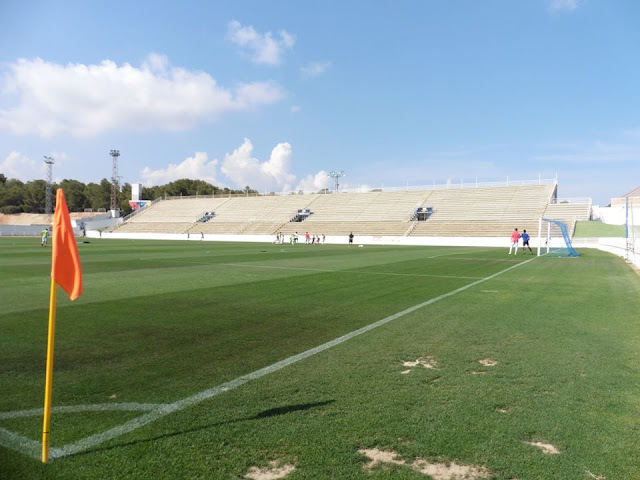 So I stuck to my back-up plan in Benidorm vs Denia which was a 6pm kick off which was more than fine. 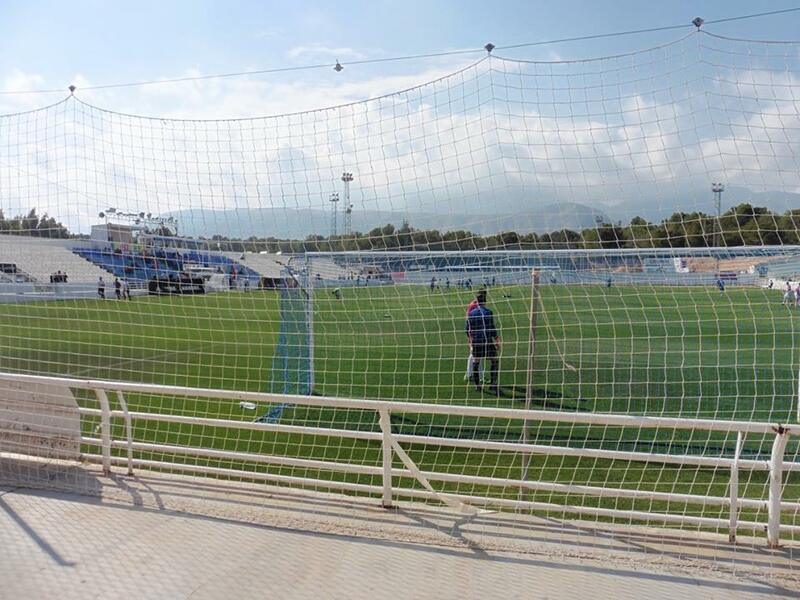 After catching a bus to the ground, I arrived to the ground about half an hour before the game. I had already been in the ground before so I knew what to expect. 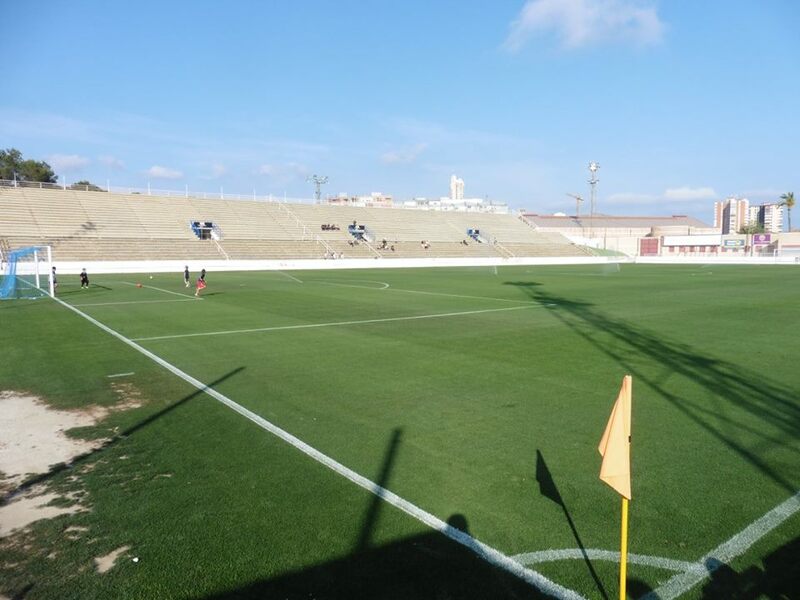 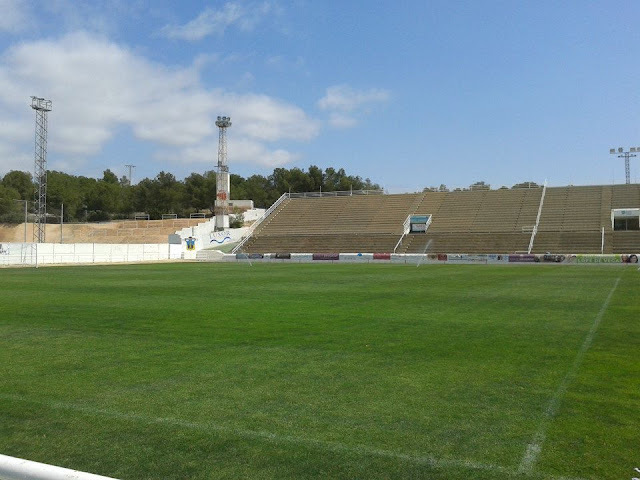 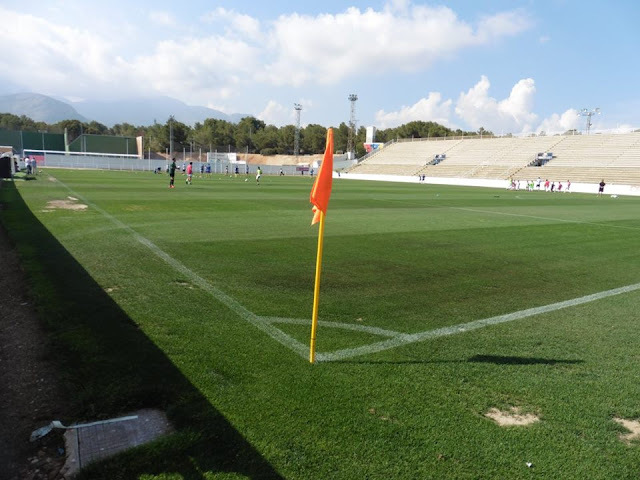 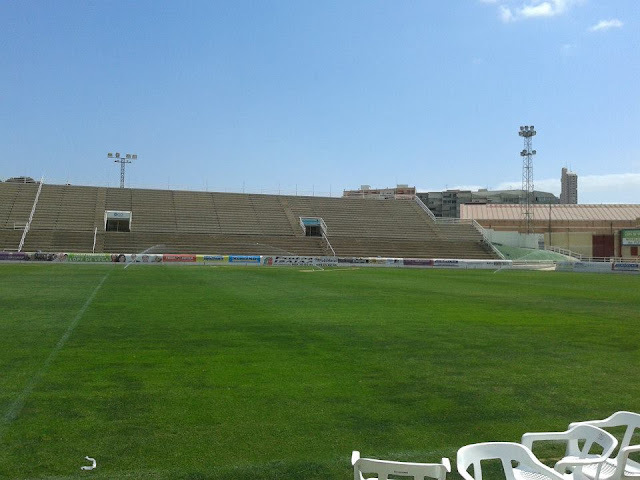 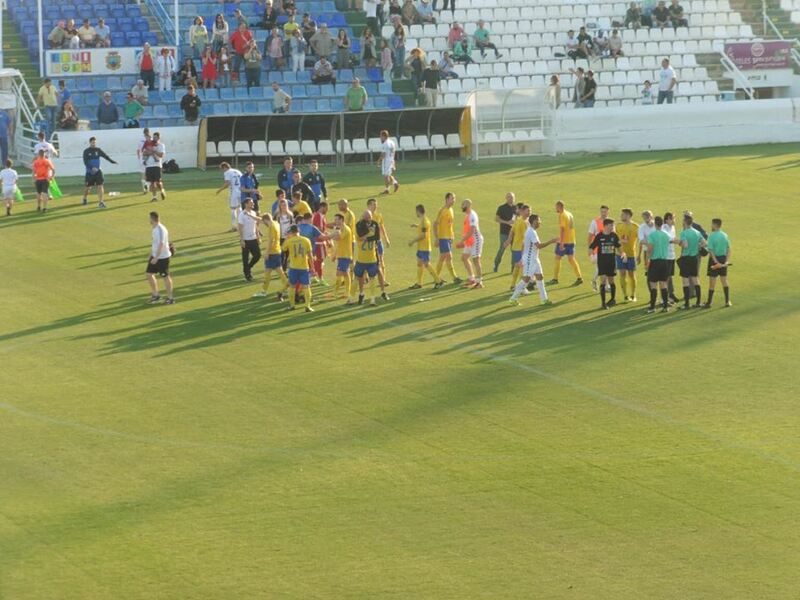 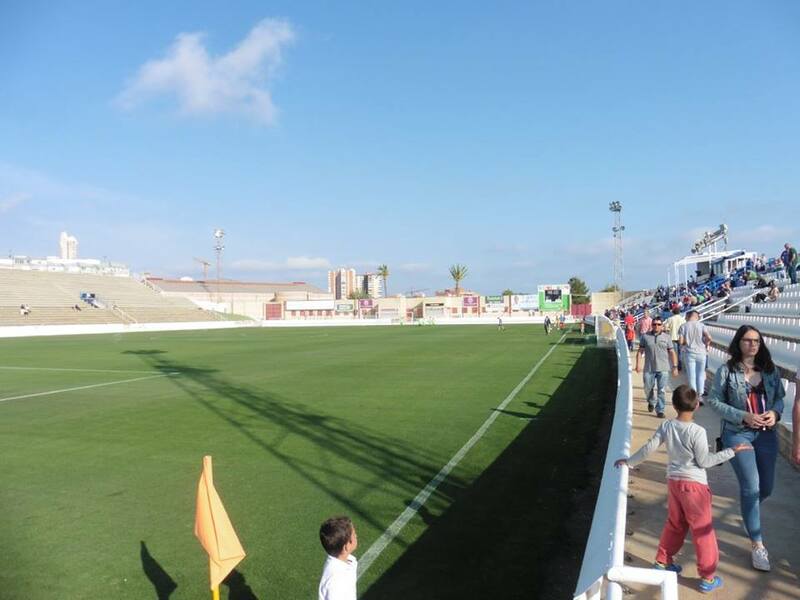 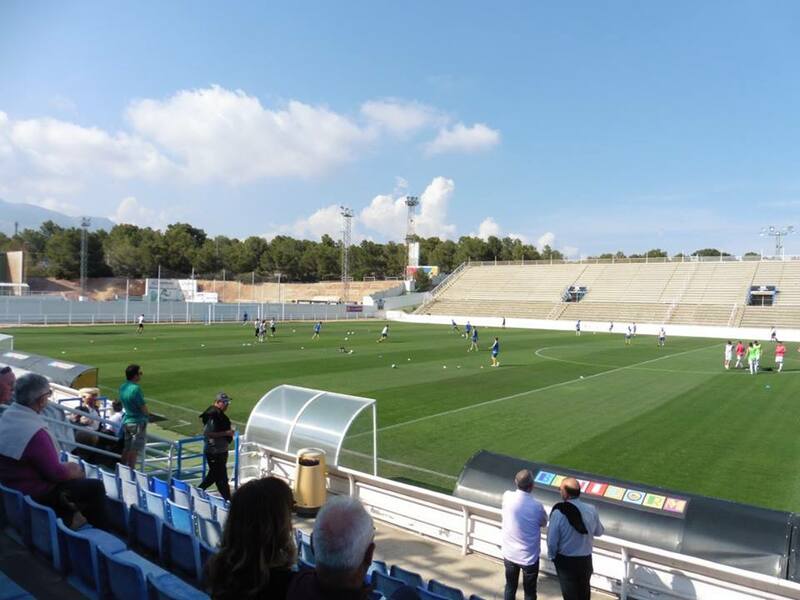 C.D Denia came into the game needing a win to guarantee promotion and they did indeed by coming away 3-1 winners. I would say the different between Spanish and English Football is a lot different, Spanish Football is a lot calmer and patient football, whether as English is a lot more intense I'd say, but none the less I enjoyed it anyway, my 1st game abroad as well but certainly was an enjoyable experience even though it wasn't a big crowd there. 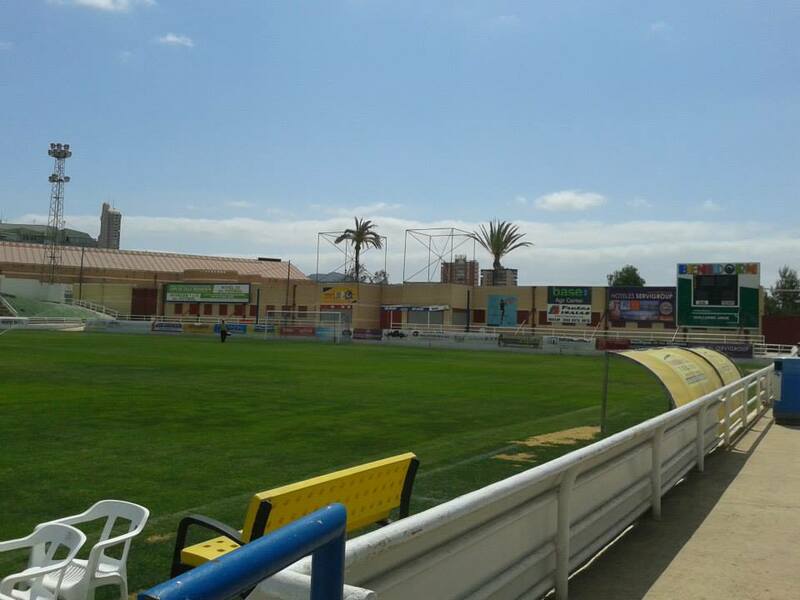 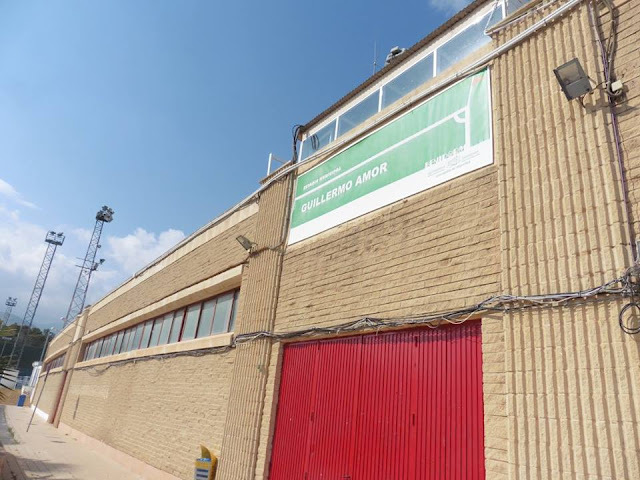 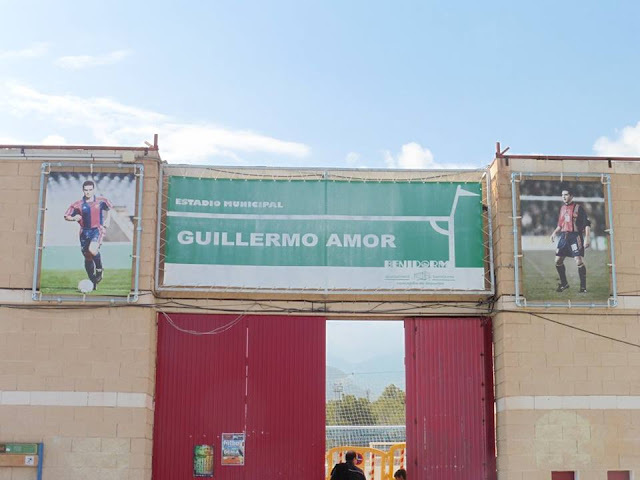 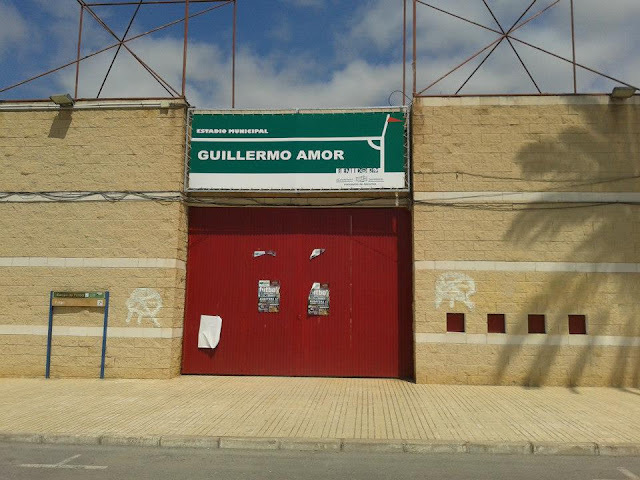 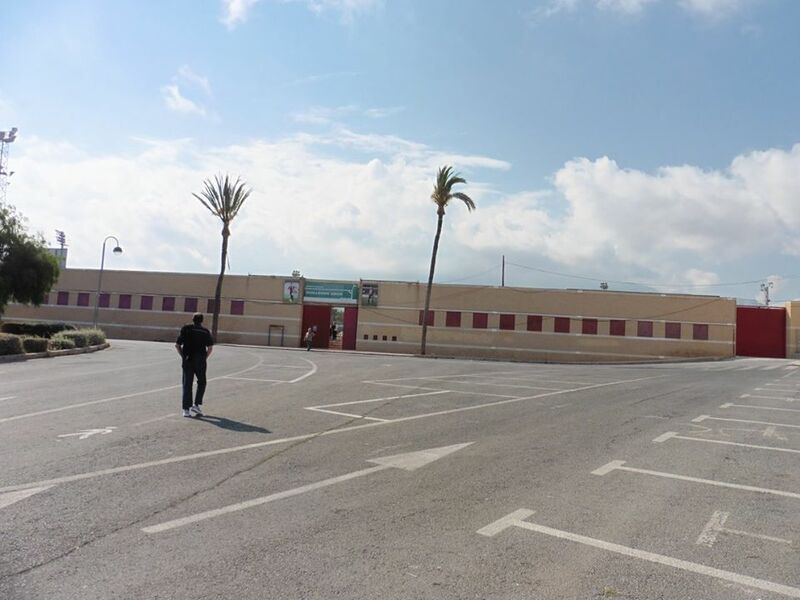 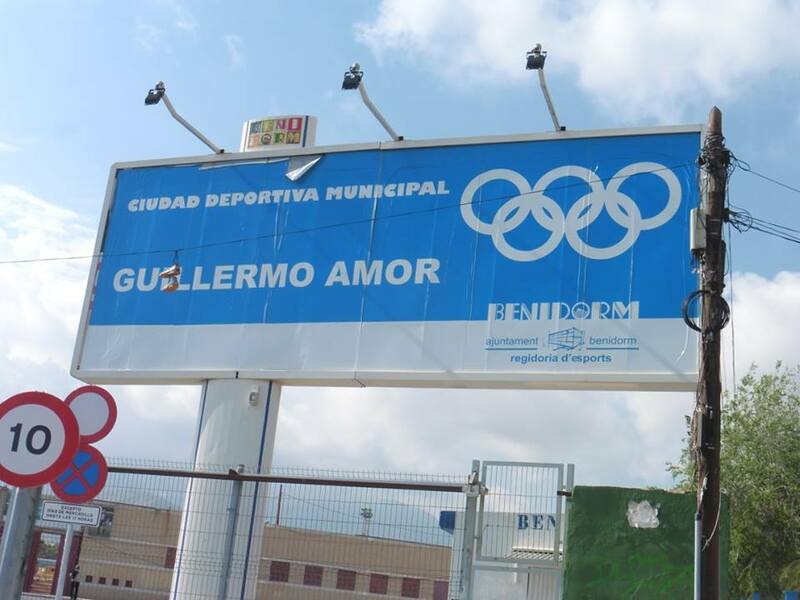 Benidorm did have a previous club playing at the Guillermo Amor, (Picture of him below) until 2011 called Benidorm C.F but folded due to money problems. 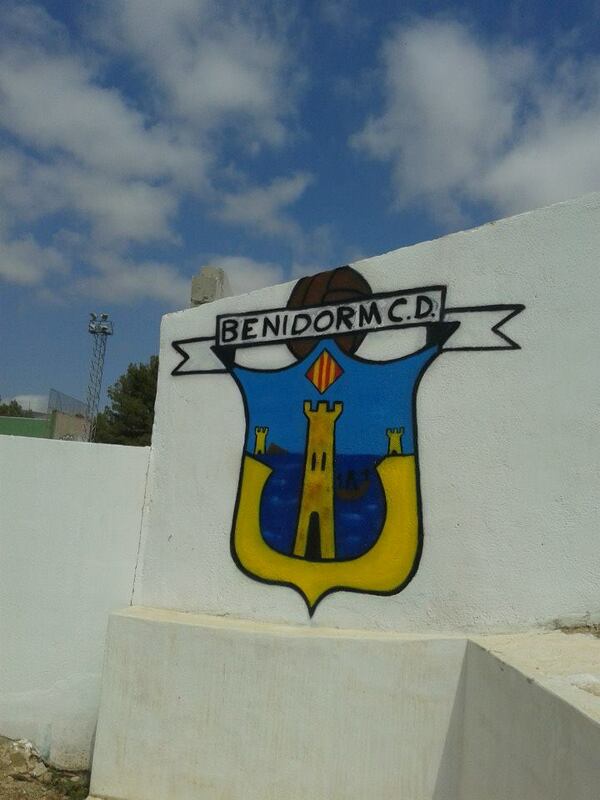 Since 2013, there has been a new club called Benidorm C.D, full name Benidorm Club Deportivo who play in the local leagues. 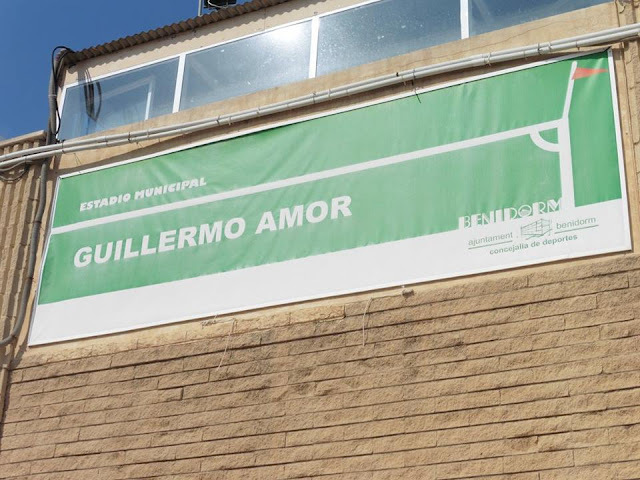 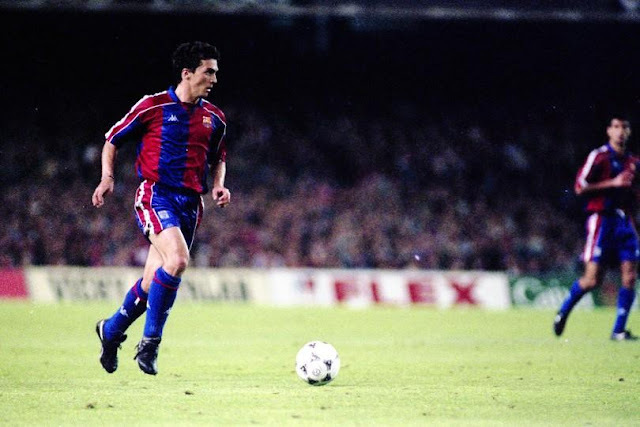 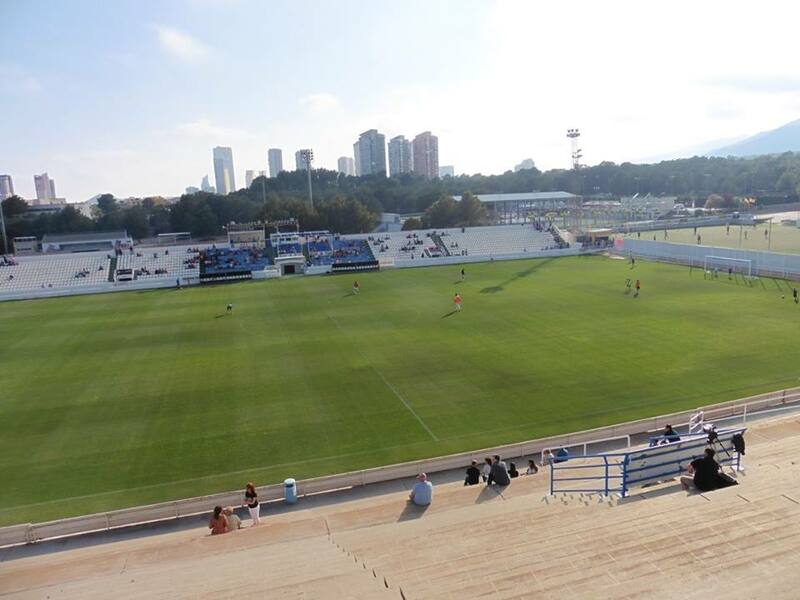 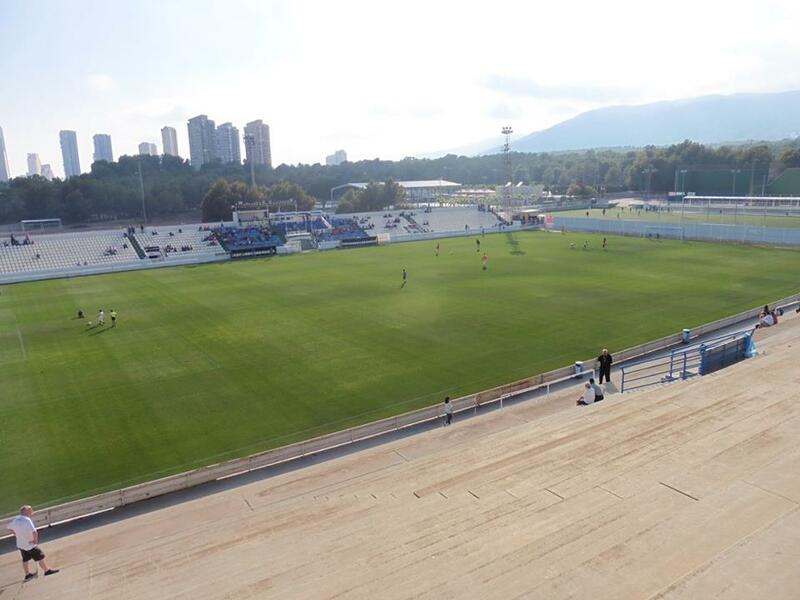 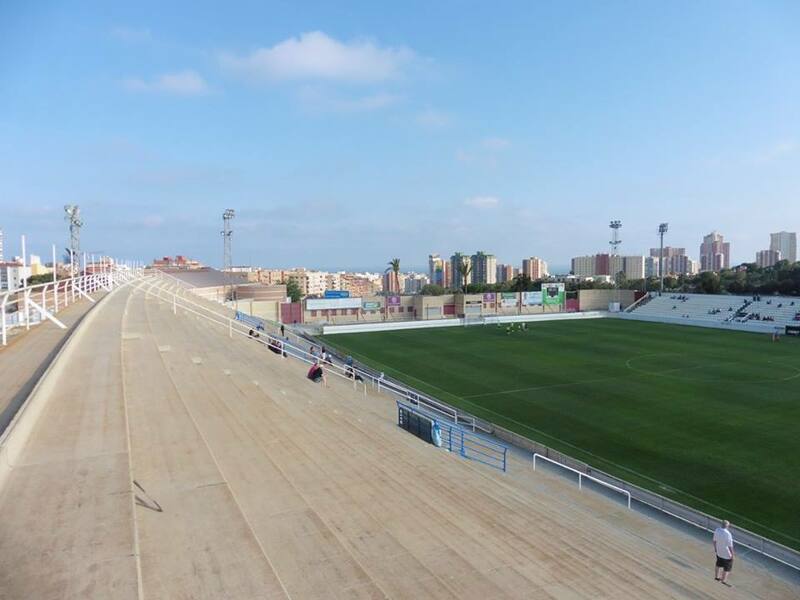 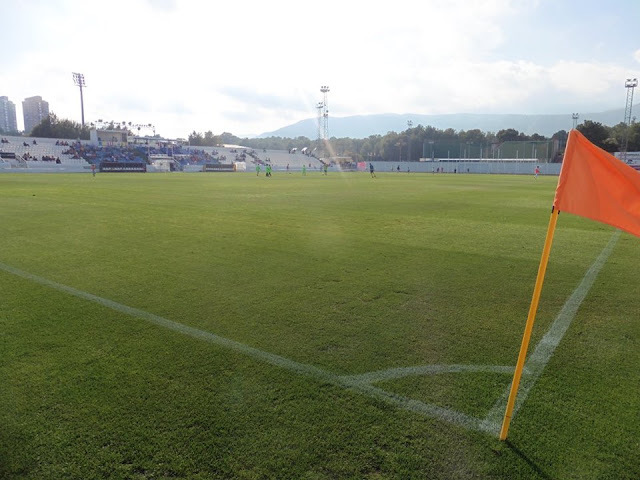 The ground is known as Estadio Municipal de Guillermo Amor named after former Barcelona player Guillermo Amor and Benidorm legend who was born in the town. 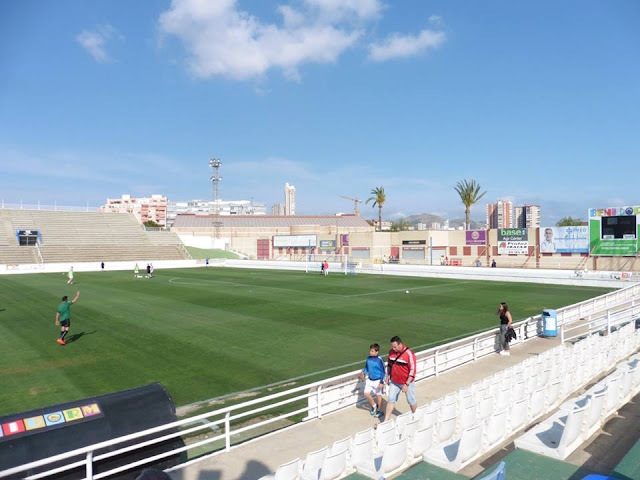 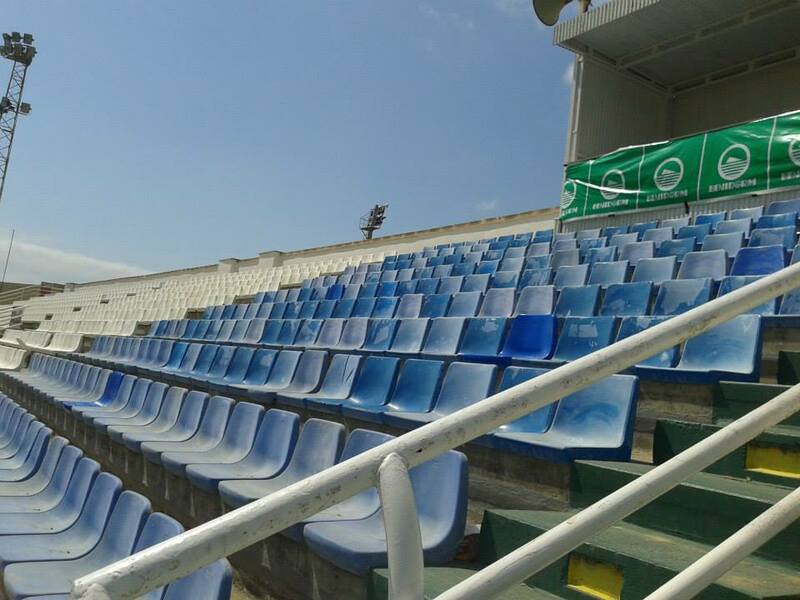 It was previously known as Estadio Municipal de Foietes. 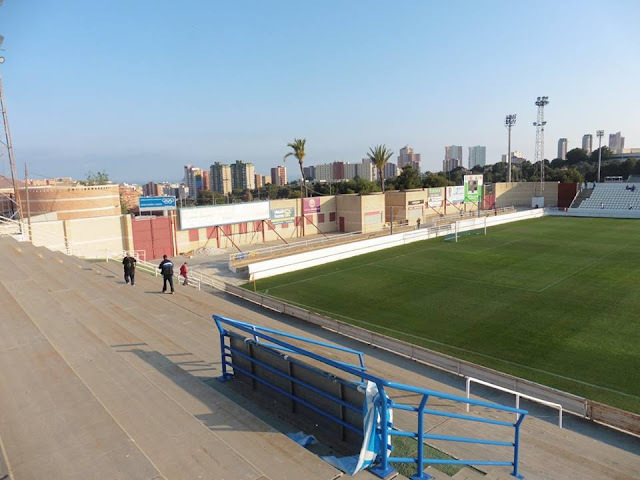 There is a tram station also at the ground which trams can be seen going past the ground in the distance whilst in the ground.